We've already featured some illustrations by Jacek Kolodziejczyk from Iacoski design like the BMW F30 M3 Coupe which was largely appreciated by our readers. This time Jacek strikes back with an illustration of a track-ready version of the recently unveiled Corvette C7 Stingray. 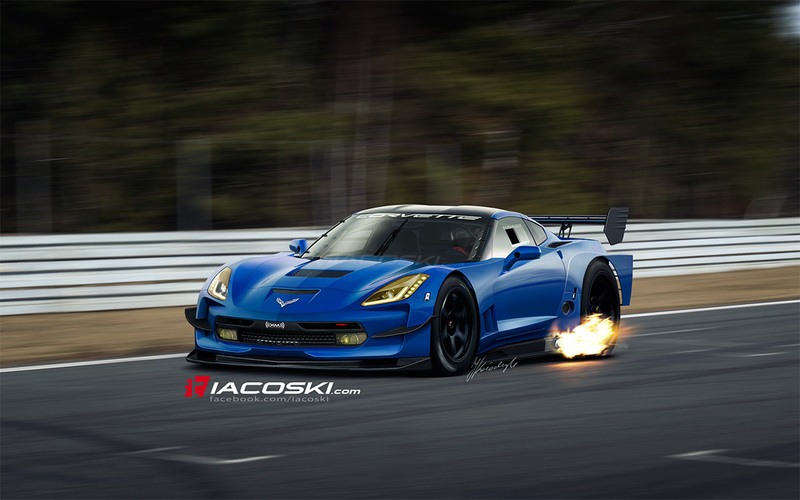 The designer took inspiration from the the Japan Super GT Championship beasts. And we really love the result! 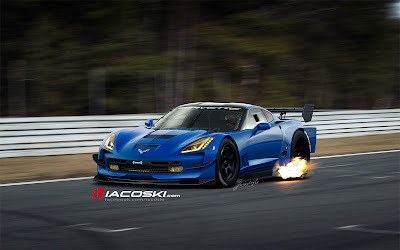 I you liked Iacoski's Super GT Corvette C7, maybe you should check out Jonsibal's Corvette C7R. 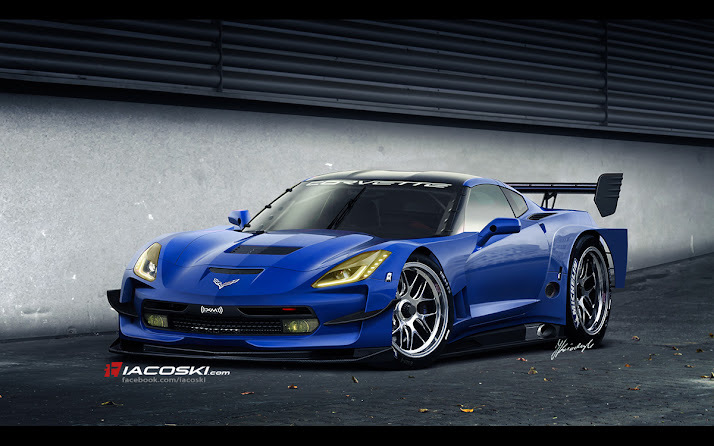 The two artists went in two different directions when creating their designs but one thing is sure, we love them both and we would like to see those machines on the race track one day!